It got pretty windy today. 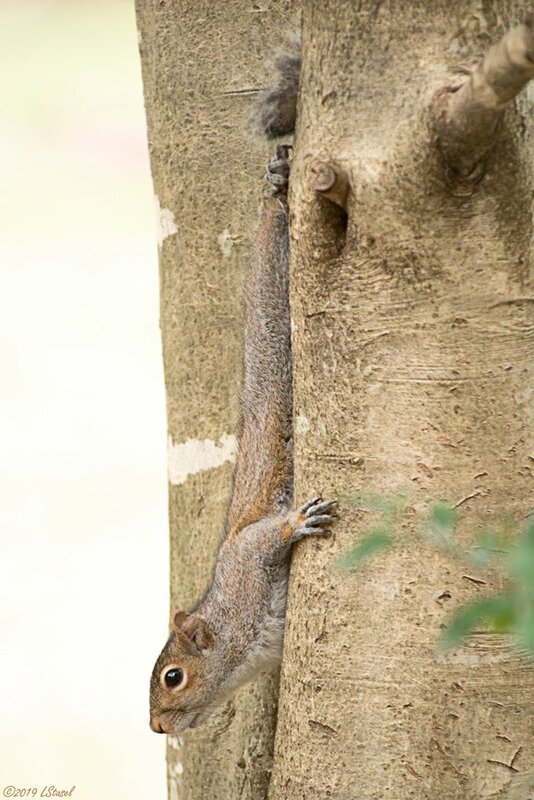 He was hanging on to the tree trunk. He is so stretched out he almost looks like a lizard.